Cycling, a great way to get about Dunedin! Where to study New Zealand Cycling, a great way to get about Dunedin! 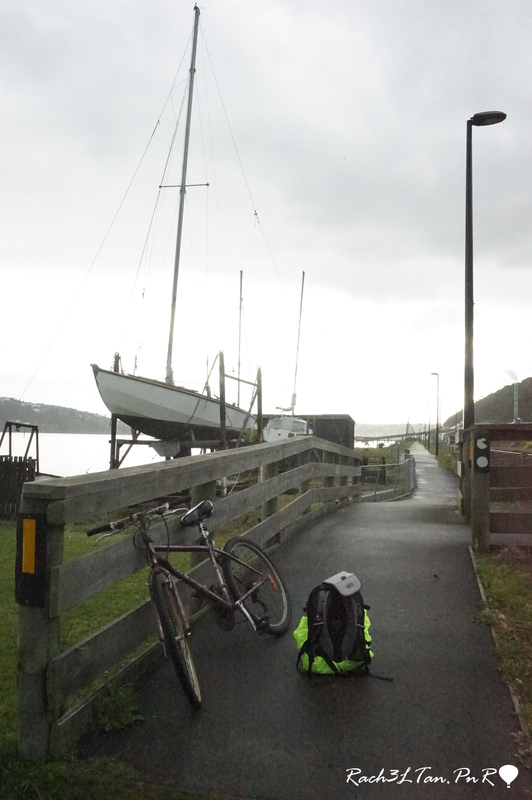 Having been cycling in Dunedin for some time now, I want to share my cycling experiences. After three months in this city, I decided to buy a bike and use it as my main mode of transport. 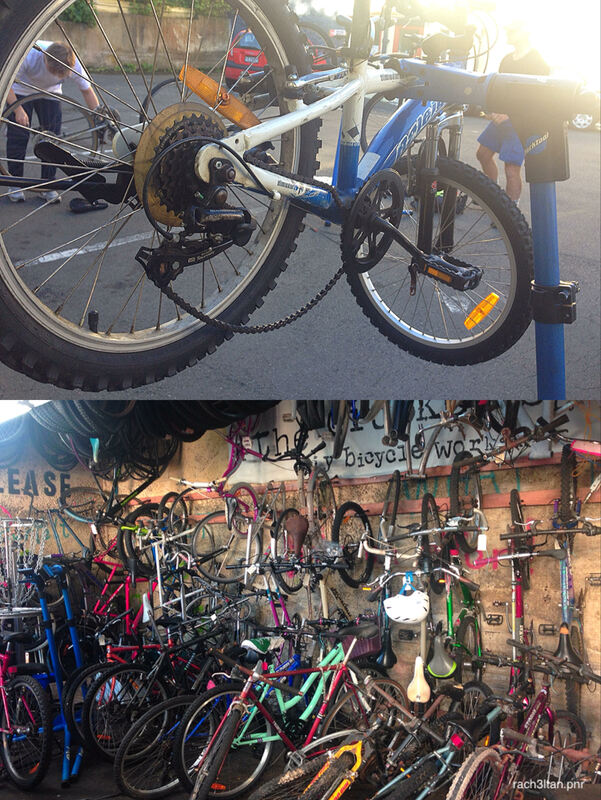 However, I found that new bikes were costly and I started to look at second-hand bikes for sale. 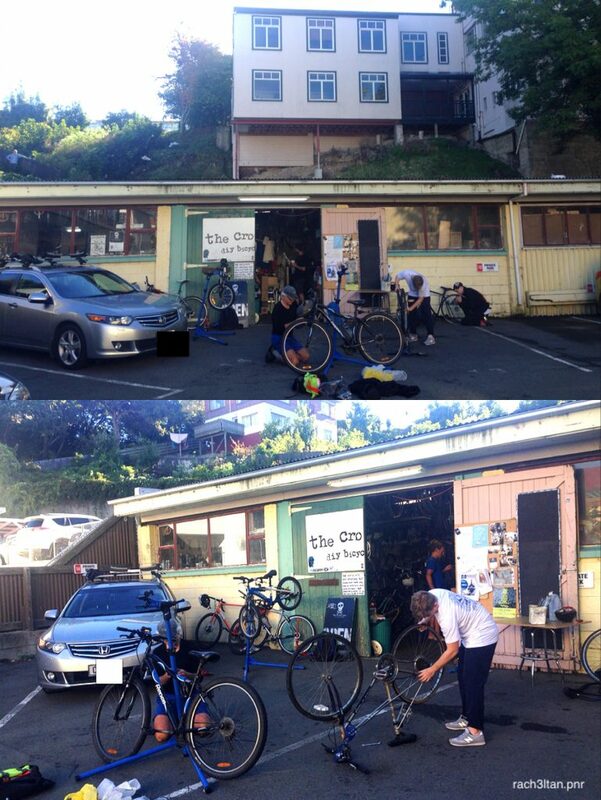 While googling for a bicycle, I stumbled upon The Crooked Spoke, a bicycle workshop located near the Octagon. Its website mentioned that it had bikes for riders and bicycle parts for people wanting to fix their bikes. I discovered that the workshop has some great people who are experts at fixing bicycles. One of them, Tod, helped me to choose a bike of a suitable size. He explained that the bikes and the parts in the workshop were all donated. He taught me how to mend punctures with the correct tools, which is such a handy skill to learn. I also learned how to detach tyres to look for punctures. My bike may look old and rusty but the gears work well. Apart from occasional punctures, it has given me a few problems. I was able to get a more comfortable seat and a new pair of tyres. I am very grateful to these volunteers for sharing their knowledge and their skills. They are wonderful and their help is invaluable to people like me on a strict budget. After they fixed my bike, I gave a koha or donation. Cycling is an important form of transport in Dunedin. There are some cycle lanes which have made me feel safer when biking. Cycling saves travelling time and is very handy when getting around the campus and going shopping. Plus, cycle stands are available and keep the bike secure. In comparison to Malaysia’s hot and humid weather, Dunedin’s cool weather is great to cycle in. Only the rainy and windy days deter. In the winter, I wear a bandana to protect my ears and I plan to wear a mask to protect my nose for the next winter. With my bike, I am able to explore Dunedin at a leisurely pace with my camera. It’s easy to stop to take pictures. I am able to relax and enjoy a workout when cycling along the West Harbour cycle lane. It is my favourite ride because it has a good view of the peninsula and the sea. Occasionally there are passing ships and yachts that make the view even more interesting!